Comments: Ships from Reno, NV. Shows some signs of wear, and may have some markings on the inside. 100% Money Back Guarantee. Shipped to over one million happy customers. Your purchase benefits world literacy! 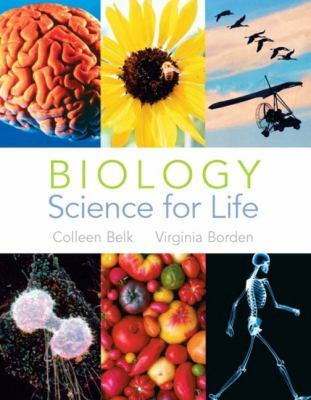 Designed for one-semester courses in introductory biology, for non-major biology students, this issues-based, inquiry-driven biology text provides students with the ability and desire to take an active and scholarly interest in the science issues they will regularly face in college.Belk, Colleen is the author of 'Biology Science for Life', published 2003 under ISBN 9780130892416 and ISBN 0130892416. Loading marketplace prices 14 copies from $0.01 How does the rental process work?